The fear of missing out can be a powerful motivator. Of course, taking action based on this fear can lead to both positive and negative consequences. The latter tend to arise if the primary insecurity is envy, wanting what others have and taking actions that don’t result in getting what you want and ending up doing more harm than good. Taking imprudent financial risks is a good example of this. The envious investor (speculator is probably a more accurate description) usually ends up having lost money and feeling much worse about himself whereas the person he envies is probably trekking along continuing to focus on her strengths and shoring up her weaknesses. Of course, not all actions taken were catalyzed on a fear of missing out have to have negative consequences. On the contrary, they can be truly life changing in very beneficial ways, particularly if viewed through the prism of regret minimization. At the same time, one must make sure that taking action that will minimize regret in the short term will not be trumped by consequences that will lead to regret in the long run. We all know our judgment and defenses are compromised when we have consumed alcohol. As a result, we may choose to take certain actions or go on an adventure that seems so alluring at the time and actually can be amazing provided it doesn’t lead to harmful outcomes (e.g. car accident, jail, bodily harm, missed obligations, etc.). And are the rewards (e.g. financial, psychic, joy, experience enriching, relationship building, etc.) sufficient to compensate for the risks? Am I really taking this action out of envy or out of fear of truly missing out on something that I think may help me grow, bring me joy, and help create powerful memories? According to Charlie Munger, one of the great influential forces on human beings is what he calls “Social Proof.” Social proof is very similar to the fear of missing out. This is what Munger had to say about Social Proof in a speech at Harvard. “Big-shot businessmen get into these waves of social proof. Do you remember some years ago when one oil company bought a fertilizer company, and every other major oil company practically ran out and bought a fertilizer company? And there was no more damned reason for all these oil companies to buy fertilizer companies, but they didn’t know exactly what to do, and if Exxon was doing it, it was good enough for Mobil, andvice versa. I think they’re all gone now, but it was a total disaster. I recently read an interesting study that speaks to social proof and how it influences an individual’s decision to buy a home or rent a home. In Social Networks and Housing Markets, the authors utilized 1,242 Los Angeles Facebook users who responded to a housing market survey. Over half of them regularly talk to their friends about investing in housing. The authors wanted to assess if the investment experience of people in the respondents’ social circle, but outside of their area, would have any impact on their decision to rent or buy a home and, if buying was the decision, how this would impact the price they would pay, the size of the home purchased, and down payment utilized. As a baseline, the transition probability from being a renter in 2010 to being a homeowner in 2012 was 18%, so an individual with a social network comprised of friends with positive home price appreciation had a 21.1% transition probability. This social influence tends to feed on itself as it turns out that there is a strong momentum influence in terms of housing demand being influenced by rising home prices. Thus, social proof can get people to jump into home ownership and rising home prices can influence people even more to purchase a home. Interestingly this has the same impact as if the Veteran Affairs (VA) benefits were extended to all individuals via a 10% reduction in down payment. While these studies suggest that social influences and housing price momentum (an indirect form of social proof) can be very powerful forces in catalyzing one’s decision to become a homeowner or staying a renter for longer, this does not necessarily have to lead to negative outcomes. Because others have done well with their home purchases and you want to have some of the same success doesn’t mean you won’t make a wise financial and lifestyle decision. It should be through those lenses that the decision is made versus feeling the need to keep up with the Joneses. It is important to follow the advice of Aristotle and Charlie Munger and listen with an open mind but not a gullible one. Do what is right for you without envy or fear of missing out being the primary motivator. Have you followed the advice of Aristotle and Charlie Munger? 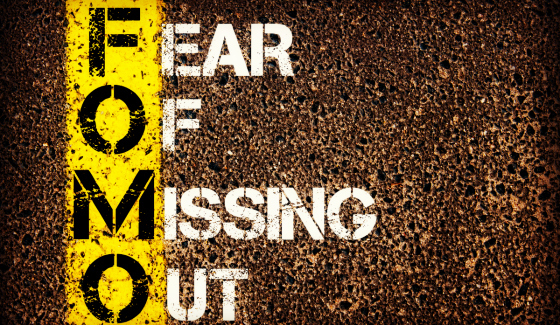 Did FOMO, Fear of Missing Out, factor into your decision or was it a motivator? Did you have an open, yet skeptical mind? Where did it lead you? I appreciate the great Charlie Munger quote (from his Harvard speech) – “Although I am very interested in the subject of human misjudgment — and lord knows I’ve created a good bit of it — I don’t think I’ve created my full statistical share, and I think that one of the reasons was I tried to do something about this terrible ignorance I left the Harvard Law School with.” – I’d be interested to know what he feels his full statistical share is? Great article! Thanks Gary.